Here are five things found in a garbage pile excavated at George Washington’s plantation home in Virginia between 1990 and 1994. The Mt. Vernon Ladies’ Association has put a collection of these finds online, in a searchable database, along with item descriptions. Over 300,000 artifacts have been unearthed in all. Browsing the website is an oddly hypnotic experience. The best way to do so is to visit the “objects” page and hit “refresh.” The trash—fragments of pots, buttons, pieces of ladies’ fans, nails, thimbles, animal bones, marbles—flashes by in a neatly arranged digital heap. 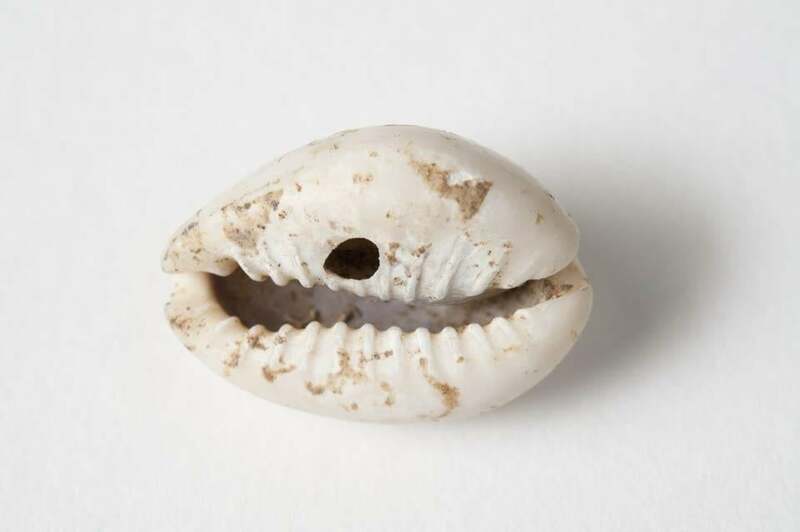 The most interesting objects are those that, like the cowrie shell below, bear some witness to the presence of enslaved laborers. This particular species of cowrie was native to Africa, and probably came to Mt. Vernon along with a newly purchased person. A “Gold Ring” cowrie shell, with natural (rather than human-made) hole. Possibly used as currency or decoration by a recently-arrived African. More information here. Image courtesy of Mt. Vernon Preservation. 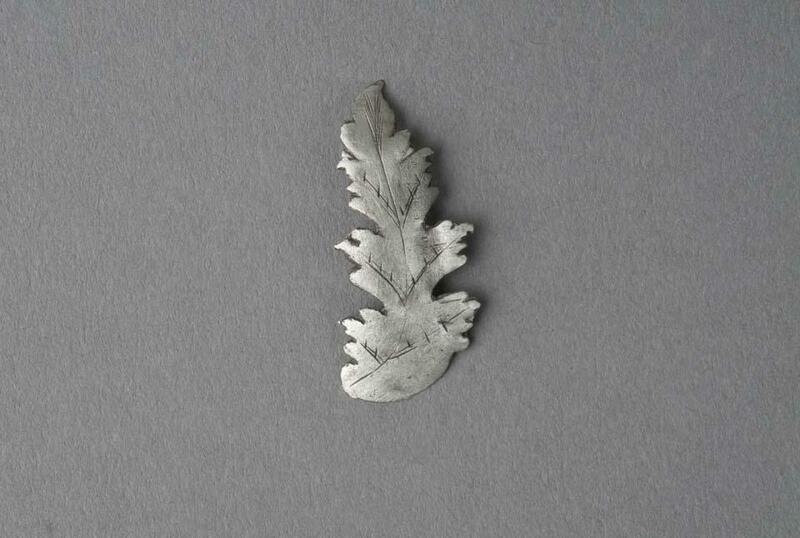 A silver decorative leaf, perhaps once attached to a piece of furniture or a sword scabbard. More information here. 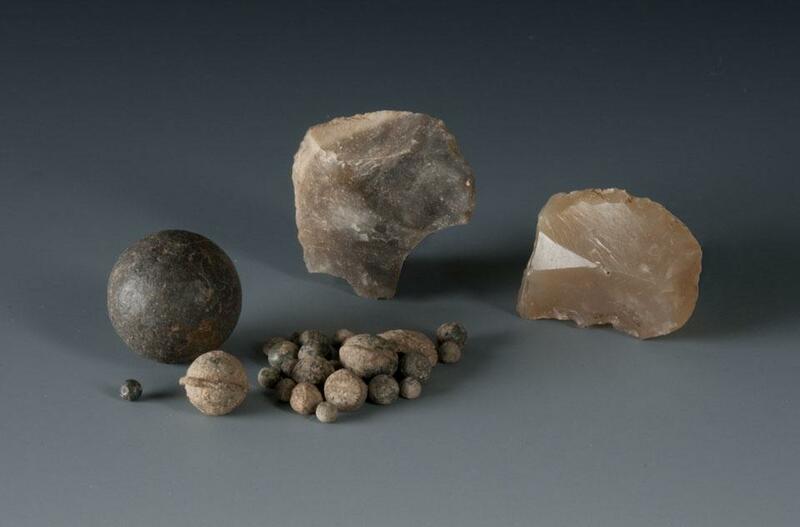 An array of shot and gunflints, used by the Washington household and possibly by enslaved laborers to shoot game around the plantation. More information here. 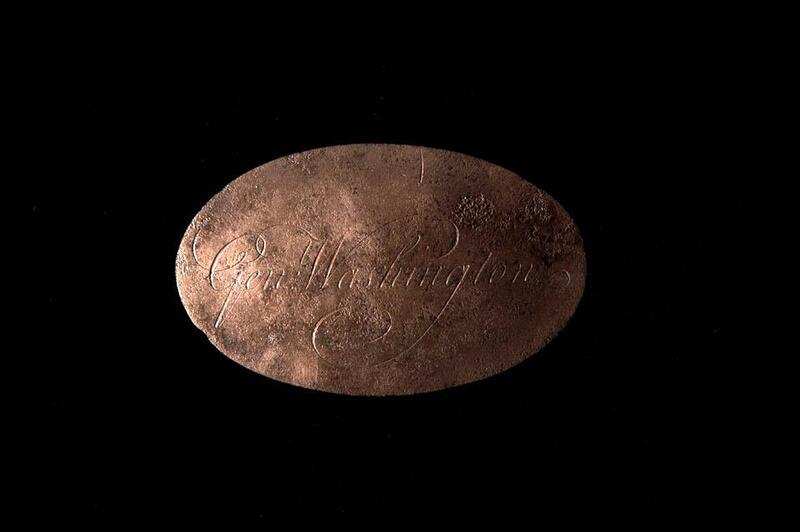 A copper alloy plate once affixed to the lid of a trunk to identify its owner, engraved with the words “Gen: Washington.” More information here. A bone handle for a 19th-century toothbrush, which has lost all of its horsetail-hair bristles. More information here.